Manufactures Supply by Trade Star Exports. 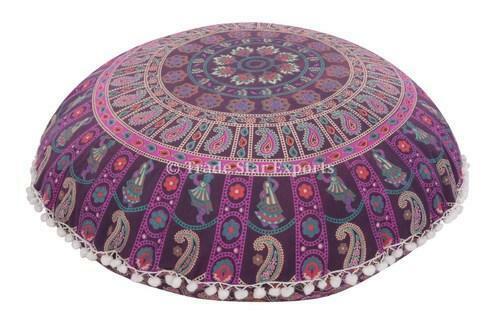 Established in the year 2009 at Jaipur district of Rajasthan, we, Trade Star Exports, are among the prominent, leading and topmost manufacturers, suppliers and exporters of an extensive array of optimum quality Home Furnishing Products. Consists of Vintage Cushion Covers, Vintage Kantha Quilts and Handmade Bedspreads, we offer a wide range of home decor furnishing products. These home decor furnishing products are designed from quality assured materials such as fabric yarns, which are procured from trusted vendors of the industry. By using advanced weaving tools, we design the offered range as per the prevailing fashion trends. Appreciated among our patrons across the world such as US, Australia and UK, these home decor products are known for their trendy design and attractive appearance. These home decor products are used for decorating home applications of various commercial establishments such as hotels. With the aid of our total transparency in all the business dealings, we have been able to win the trust of our valuable patrons.